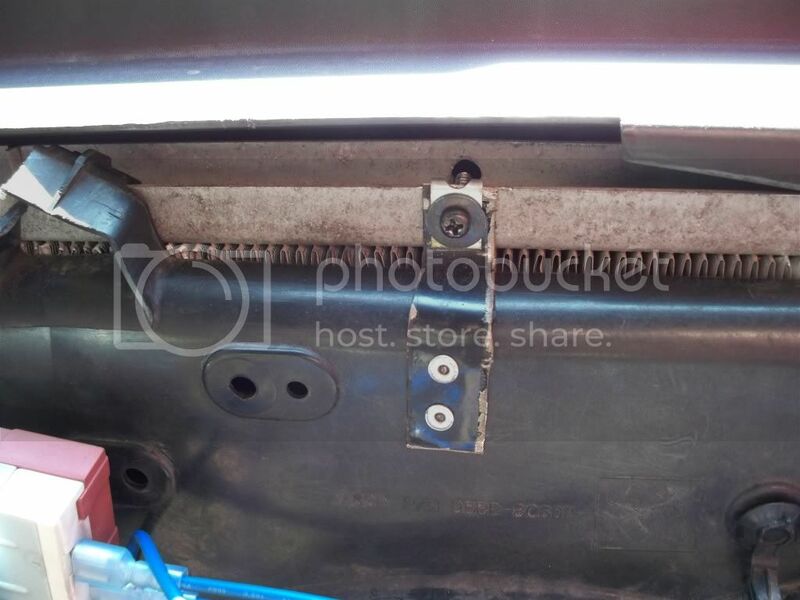 Ford Contour Electric Fan Retrofit/Conversion. 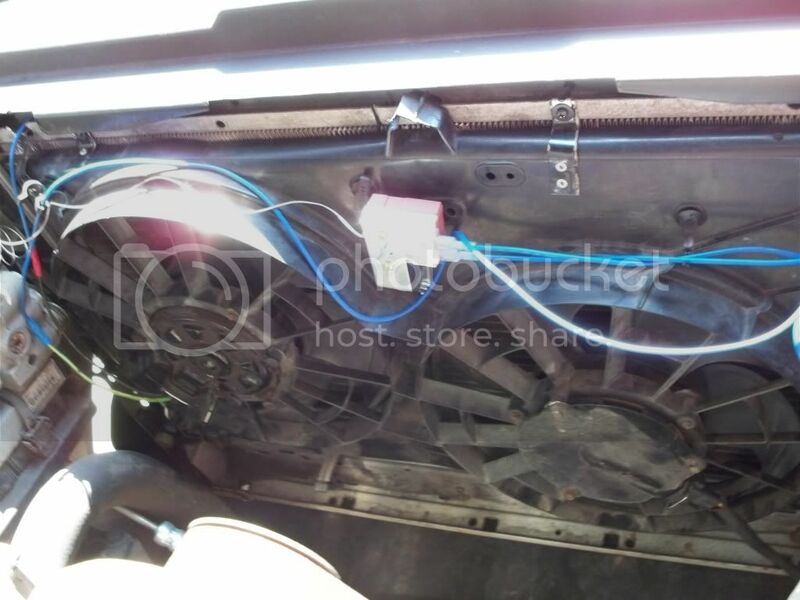 Thread: Ford Contour Electric Fan Retrofit/Conversion. Over the last couple of weeks I've been working on a electric fan conversion on my '97 Town Car. Thought I'd do a simple write-up on what I did. 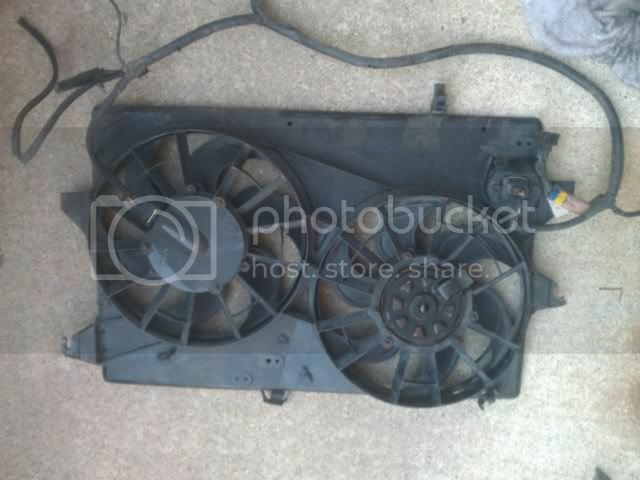 For starters, I got a fan assembly from a '98 Ford Contour V6 (this is important, the i4 models use a single smaller fan). It cost me all of $25 at the junkyard. I rather like these fans, they are compact but very efficient and move more than enough air to keep these cars cool. Best part, they fit quite nicely on the Aero's radiator. 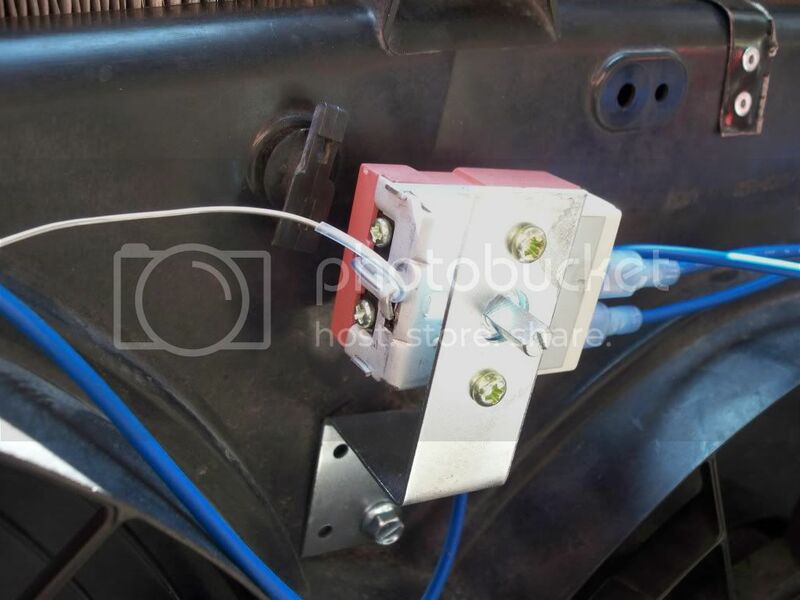 The wiring is quite simple, one fan got wired directly to the stock electric auxiliary fan wiring. Initially I'd wired both fans to that, but it was blowing the fuse (those who attended Motor City Madness this year know all about that). When they are both running, they actually draw roughly the same load as the big stock E-fan, but the amperage draw of spinning up both motors was blowing the fuse every 3rd or 4th time they would kick on. The 30 amp fuse away from the rest is for the new fan, as is the 1 relay that doesn't match the other 3. 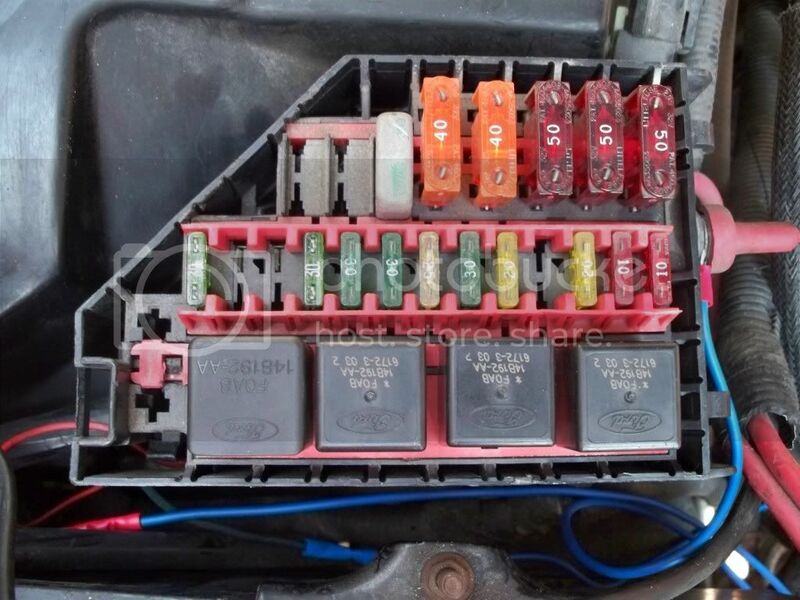 The relay and its wiring is borrowed from my Merc's fuse box, and its installed in the 1 unused relay slot in the Town Car's fuse box. This setup yields me one fan that comes on at the set temp on the controller (which I refer to as the low temp fan). It is set to come on at roughly 195*F, which I'll reach sitting at a long light with the stock 190*F thermostat (Temps are guesstimates, don't have a "real" temp gage). It turns off once the temp reaches 10* BELOW the turn on temp, which usually takes 3/4 of a mile after I get moving again. The other fan runs when the stock E-fan would run, so it comes on with the AC or if the coolant reaches 220*F (or is it 212*F, can't remember), so I refer to it as the high-temp fan. Look at all the extra space getting rid of that enormous fan freed up!! I like the dual fan setup, it is very simple to wire up, and very effective and rather efficient. These OEM Contour fans when both running, will supposedly pull more air than the stock whale panther fan. 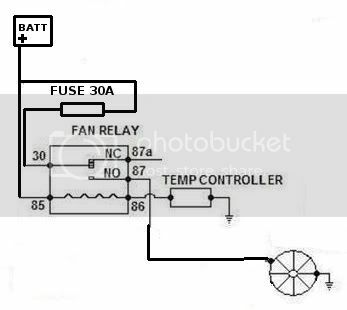 This setup will work equally well on a Box Body, or '92-'94 Aero, but you will need 2 controllers or 1 controller capable of running 2 fans since they do not have an Auxiliary electric fan. Using the controller I used, it would be quite simple to wire an override to the AC high-pressure switch, which would run 1 of the fans with the AC. 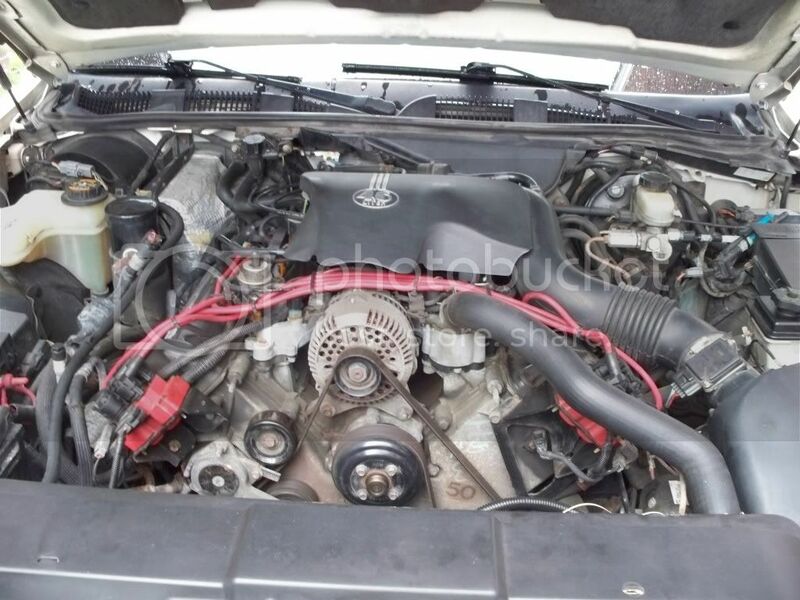 1998 Mercury Grand Marquis LS HPP ~95k miles, slowly acquiring modifications. 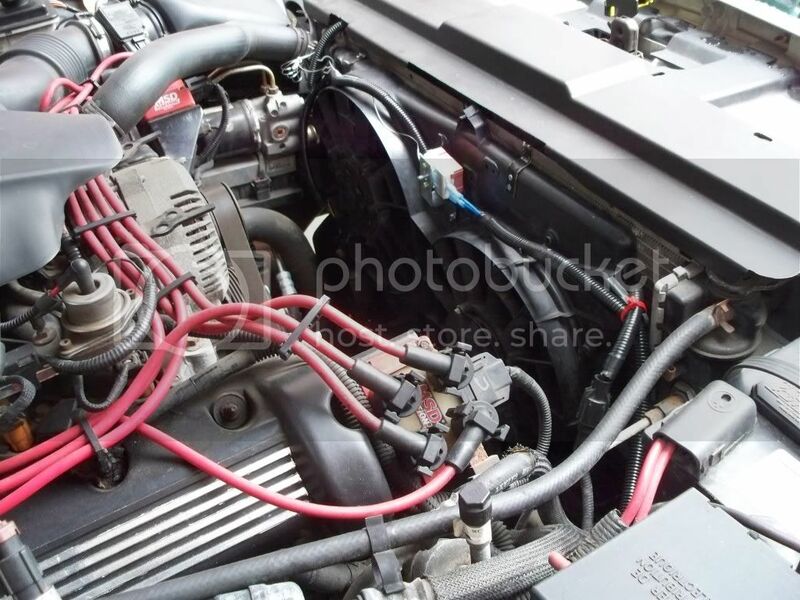 1997 Lincoln Town Car Cartier ~145k miles, Ported Plenum, Gutted Airbox, Mechanical Fan Delete, Contour E-fan Retrofit, Dual exhaust, Cats ran away, KYB Gas-A-Justs, P71 front sway bar, air ride reinstalled, Blinker Mod, Projector headlight retrofit, Caddy 4-note horn retrofit, Wood rim steering wheel retrofit, all natural weight reduction as the parts fall off.. 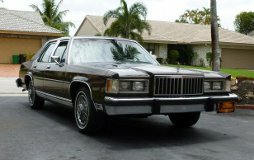 Proud Owner Of A 1987 Mercury Grand Marquis! "Cars are for driving - PERIOD! I DON'T TEXT, TWEET OR TWERK!!!!" I've been contemplating this for the 93 vic since I got it back... Nice to see how the contour/puma-cougar dual fan fits. The hardest part of the whole conversion was getting the fans out of the Contour. They really pack everything in there on the V6 Contour. 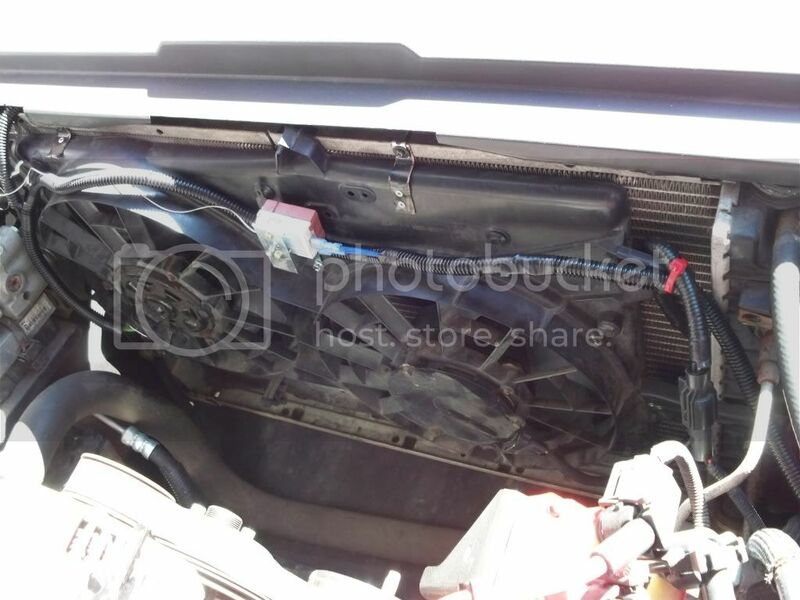 I didn't have the tools to drop the whole radiator and fan assembly out the bottom of the car, which would have been significantly easier, so I wrestled it out the top which had a coolant tube and AC line in the way. I also couldn't get the mechanical fan off the Town Car to save my life. I didn't have a wrench big enough, and the AutoZone rental fan tools only sort of fit. Ended up taking it over to a small shop around the corner and the Mechanic buzzed it with the air chisel and had it off in 2 seconds. Made a comment that he does that on their limos, which had me confused because the limos I've ever seen there are '98-'02 Town Cars. Whatever, he didn't charge me anything, so that made my day. Well my buddy tells him he knows exactly who loves buying shitboxes. Good writeup Now I wonder if the svt contours use the same setup since I have access to one. Nice writeup! I suppose a Mercury Mystique would have the same fan setup as well. yes. Just look for the v6 version as stated. Indeed, Mine are actually from a Mystique, but if you say Mercury Mystique, no one knows WTF you are talking about. I had a Topaz... nice car... piss poor automatic trans. I had the 94 ... with the 2.3L 4 banger and 3-speed auto. It only got 24mpg highway. Same basic setup in my brother's Topaz and he is still getting about 24-26 City driving only. yeah... mine was crap. The transmission grenaded by dropping into 1st at 70 and overspun the engine to the tune of 8+K rpm (estimated by the distance past the last marking that the needle moved on the tach). The guy that bought it from me and put a new engine and trans in it said the old one had destroyed the dizzy gear, blown head gasket, and the trans was completely screwed. Never got better than 24 mpg in that thing... and typical city mileage was about 18. Maybe the older ones were more efficient? Still got decent pickup for a low HP engine and the MPG's are still good. 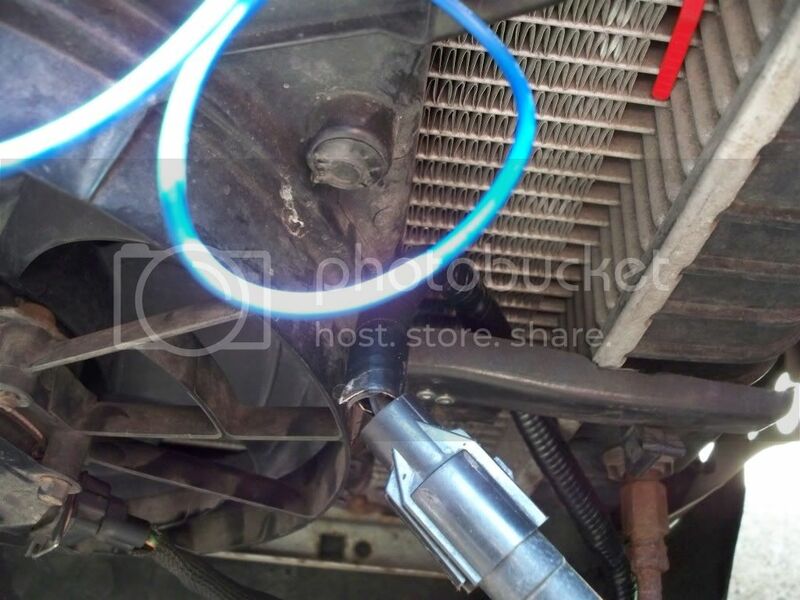 Only non-stock change was a K&N filter that went into the original air box.